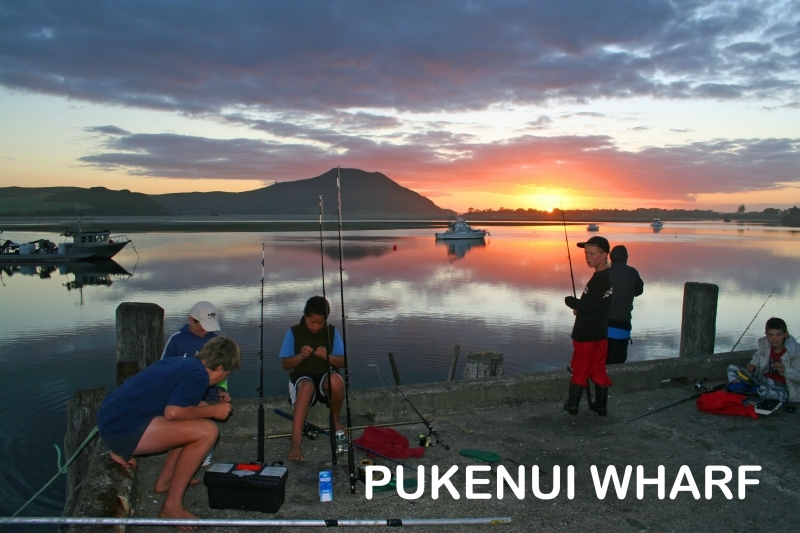 Walking distance from the holiday park is Pukenui Wharf and Houhora Harbour with its amazing array of marine life, great photo opportunities, wharf fishing, swimming and more. For the early risers … Sunrise can offer some spectacular photo opportunities with the grand back drop of Mount Camel. The pohutukawa trees in flower give a fantastic colour contrast to the deep blue waters for a good day time shot. If you are very lucky you might witness the orcas in our harbour. They meander down the channel with the tide hunting for stingray, of which there are always plenty. Dolphins regularly visit the harbour as well. There is something magical about watching these creatures play and there are many vantage spots along the harbours edge to look out from. 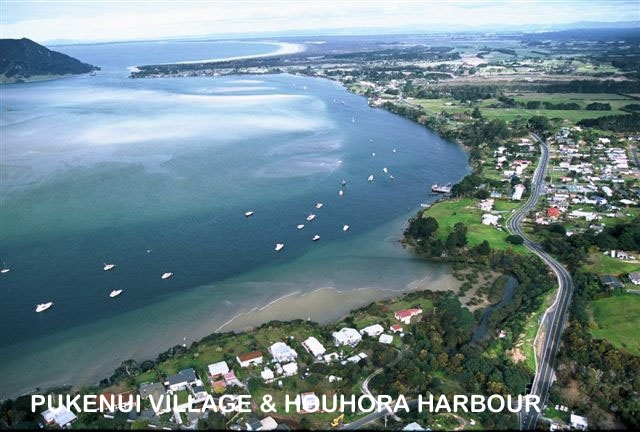 A gentle meander down to the Pukenui Wharf can be very pleasant and an ideal activity after a long days drive. Usually there are fishing boats unloading, children swimming or fishing, and the locals are very friendly, full of stories and advice on how to catch the best fish! 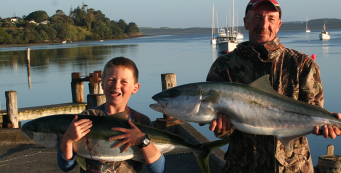 The deep channel that runs right by the Pukenui Wharf brings an abundance of fish life to the wharf. John Dory, Kahawai, trevalli and snapper are commonly caught. Its handy to know the tides, so ask at the office the night before if you are planning to try your luck fishing. When the kingis are running it is simply exhilarating. Watching these powerful animals in a feeding frenzy, even the most seasoned fishermen are in awe. A bit of local knowledge will improve your chances, and bait can be purchased at the local store. The harbour offers good wharf swimming (excellent for diving off and the kids spend hours there). 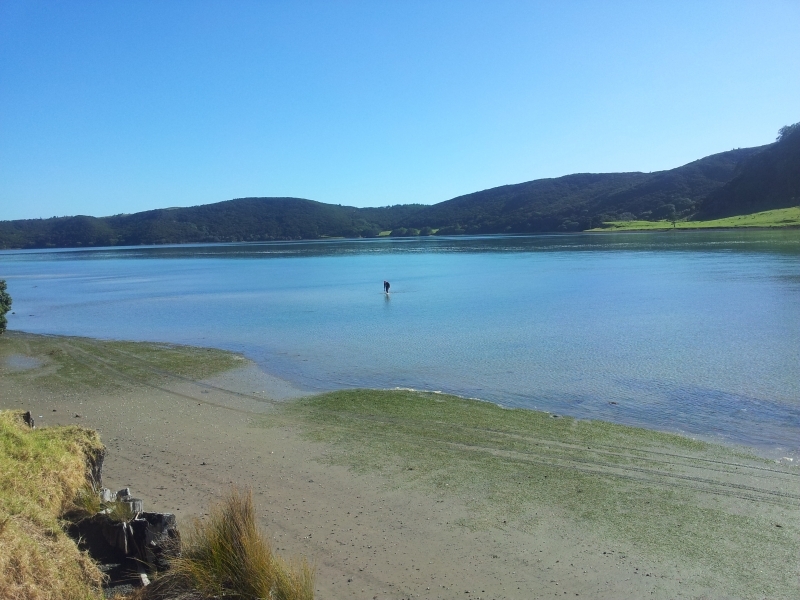 At the mouth of the harbour you can have a quiet sea swim at Houhora Heads (5 min drive from the holiday park). The water is crystal clear on an incoming tide and so inviting. Ideal for a picnic or to chill reading a book on the grassy banks overlooking the water and Mount Camel.